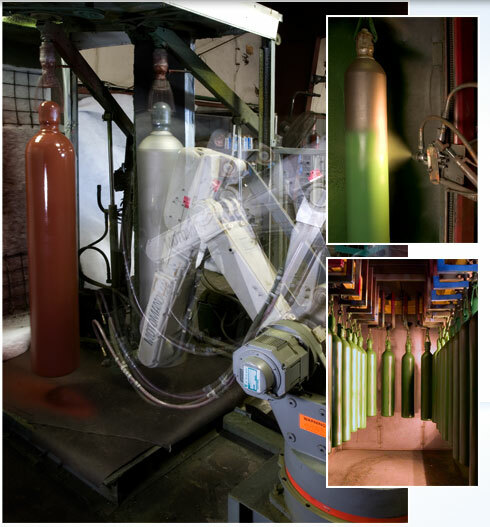 Sky Cylinder Testing features a fully automated conveyorized paint coating system, with a million BTU oven to ensure a quality baked on finish. 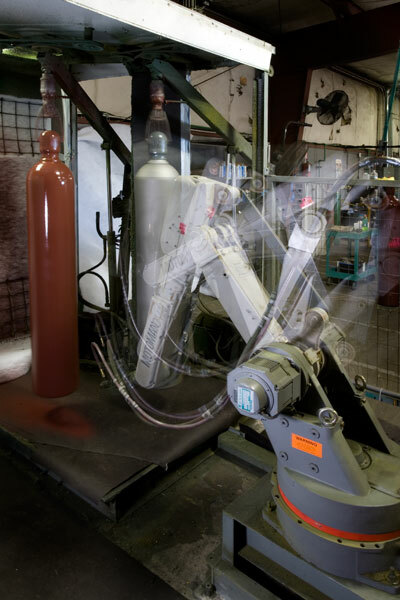 It also operates a separate robotic controlled paint booth. 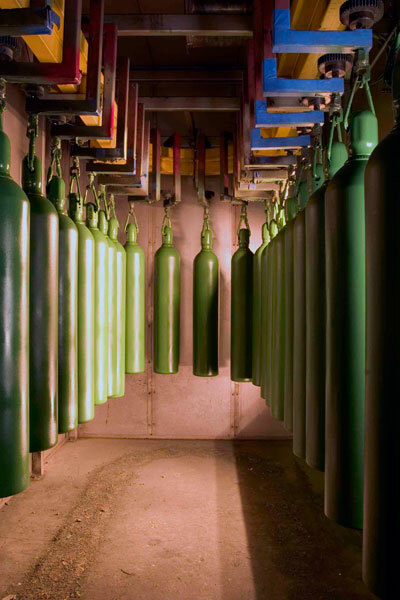 Cylinders are sprayed with Watson Coatings ‘Aqua Shield’ water reducible paint. These coatings offer high gloss finish, outstanding UV resistance, corrosion protection, fast dry, and VOC compliance. 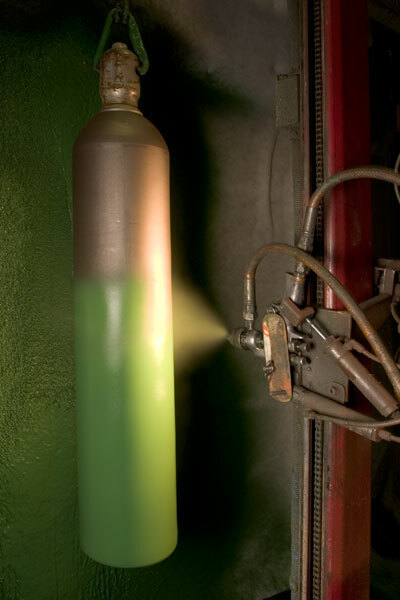 Sky Cylinder also offers Temp Alert, a new clear coating which turns bronze at 350 degrees indicating a cylinder has been exposed to potential fire damage. Of course, any coating can be applied at the customer’s request. Terms and Conditions. Site Map.